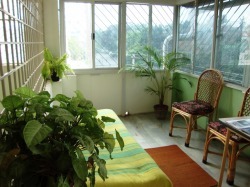 Beautiful Space available on hire in the heart of Bangalore city! 100 ft road Indiranagar. It offers a quiet, serene & tranquil atmosphere that is an essential requirement for meditation & healing purposes. SAHHEAL Venue is available for workshops / conferences that can accommodate a group of 20 people. SAHHEAL promotes culture and this space is also available for soulful music/ dance performances that can hold about 30 people.